In a previous post, I talked about Bitcoin Mining. In that article, I made it clear that mining Bitcoin is hard and you need to buy special hardware and software setup. Even after doing this, profitability is too less. So, you can think of focusing on Bitcoin alternative cryptocurrencies. Ethereum is also a popular cryptocurrency and becoming valuable day by day. So, you can also think about mining Ethereum. In this article, I will talk about becoming an Ethereum miner. Ethereum mining is simple and you can even use your system for mining purpose. But your system must have a powerful configuration. At the time of writing this article, 1 ETH was equal to $494. So, it is still much profitable to mine Ethereum. See the past 90 days price graph. Before you start mining, you must have a good wallet to keep your mined Ethereum. I have written an article on best Bitcoin wallets. Most of those also support Ethereum. So, you can use any of those to keep your Ethereum secure. I recommend Ledger Nano S.
Before you start mining Ethereum, you should also know about the mining profitability. It means your investment should not be higher than your earning. There are lots of factors to determine the Ethereum Mining Profitability. The hash rate or your miner, the share of your earning on network and cost of electricity at your place. You also need a good hardware to mine efficiently. You can also use Ethereum mining profitability calculators. These are the two good: EtherScan and Badmofo. Choosing a mining hardware is important. You can even mine Ethereum on your PC, but having a GPU is recommended. There are two types of mining hardware: CPUs and GPUs. GPUs Have higher hash rate and they can solve puzzle answers more quickly. GPUs are 200 times faster than CPUs for mining purpose. I recommend you to have at least a GPU with 3 GB RAM for good results. After selecting a mining hardware, you need a mining software. I will only talk about two software programs: Geth and Wineth. Wineth is easier to use as it is GUI based tool. Geth is command line tool. If you are familiar with command line software, you can try Geth. It runs an Ethereum node written in scripting language ‘Go’. Download Geth here. If you need a GUI software, you can move to the second software mentioned after this. Now you need to download Ethminer. You can download it here. It makes your GPU or CPU run the hashing algorithm. You can download the right version and install on your system. Do not forget to check if Firewall is not blocking the access of network for this software. If you are on Windows PC, move and move it to your any location of your system. I recommend you to keep everything in a single folder to make access easy. Create a folder Ethereum and put Geth and Ethminer inside this newly created folder. 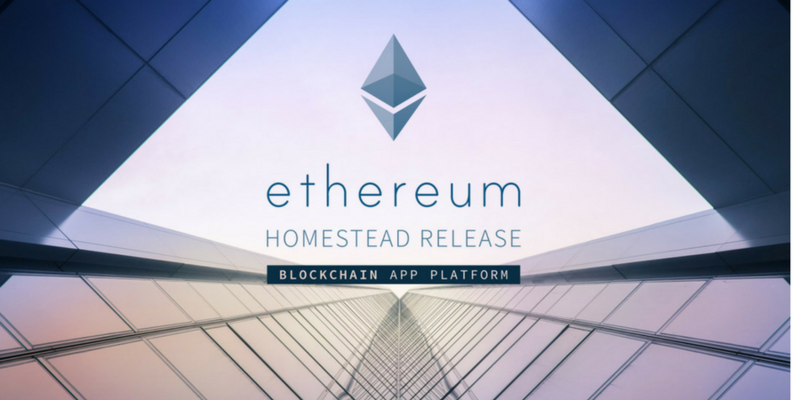 Download Ethereum Wallet from here and keep in wallet folder inside the same folder. Enter the password to encrypt your wallet when prompted. Open the file “Ethereum-Wallet.exe”. Wait for sometime. It will download the whole Ethereum blockchain. It will be over 30GB of sync data. So, not just it will take time but your data as well. When the sync is done, you need to navigate to Miner filter where your miner is saved. Here use following command. It is easy to use and setup. Just install it, enter your Ethereum wallet address and run. It will start the miner. Minergate is a could mining service that allows you to mine several cryptocurrencies. You can create an account there and download its mining software that is available for most of the platforms. In this software, go to Miner section and start ETH mining. Your mined coins will go to unconfirmed balance and it will take few hours for confirmation. You can also mine other coins depending on the CPU cores of your system. Like in Bitcoin, there are also mining pools for Ethereum. You are unlikely to be able to mine ether on your own and it can take much linger tie. If you join a ‘mining pool’, it improves the chances of solving the cryptographic puzzles and earning ethers. In Mining Pools, multiple people work together to mind cryptocurrencies and split the profits proportional to how much power each miner contributed. If you are thinking to start Ethereum Mining, you can start. Good luck. Mining Ethereum is profitable and the value of Ethereum is also increasing day by day. So, value of Ether you hold today will be much higher in next year. I hope this was clear enough. If you have anything to ask, you can always leave a comment.